You can probably think of many more reasons to drive safely this winter. We’d like for you to have fun, make memories with your loved ones, and celebrate the spirit of compassion and giving that pervades the holidays. The best way to do that is to stay safe while traveling this winter. Below are some tips for getting safely to your destination so you can start making those precious memories! Fight holiday stress with positive thinking. We don’t want to sound corny or pushy, but the winter season is traditionally a time of selflessness, compassion, and a celebrate of faith, hearth, and home. Counting your blessings does more than warm your heart; it can also prevent holiday stress that translated into risky driving and road rage. If you feel angry or frustrated on the road, take time to contemplate what’s important to you this winter! Prepare your car for winter travel. Winterize your car by making sure it’s in excellent repair with tires appropriate for the season. If you need tire chains, procure and install them before long trips. Stay alert on the road! Much holiday traveling is done at night. If you’re too tired on the road, pull over and find accommodations to dream of sugarplum fairies before hitting the road again. Also, drive with family or friends when possible. 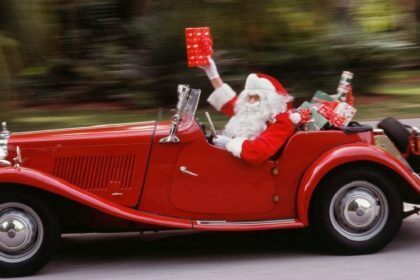 You can spot each other’s driving and make holiday memories while you’re at it! Watch your consumption this holiday. It is our recommendation that you always have fun you can remember. If you begin to grow dizzy, fuzzy, or tired, stop drinking. If you plan to drink any amount of alcohol, know your limits and designate a ride or another driver. NEVER DRIVE BUZZED OR DRUNK. You put yourself and others in danger, and we don’t want anyone, including yourself, to spend the holidays with injuries or death to deal with. Plan your route ahead of time. If you know you’ll be traveling, plan a route complete with stops before you go. This will hopefully minimize the frustration of holiday traffic and stress. Obey all road signs and traffic signals. Drive defensively and be alert for drivers who won’t be as alert as you! Watch for more pedestrian traffic than usual, and especially watch for holiday shoppers to be where they shouldn’t… often in the road! Drive slower than usual through cities and suburbs. 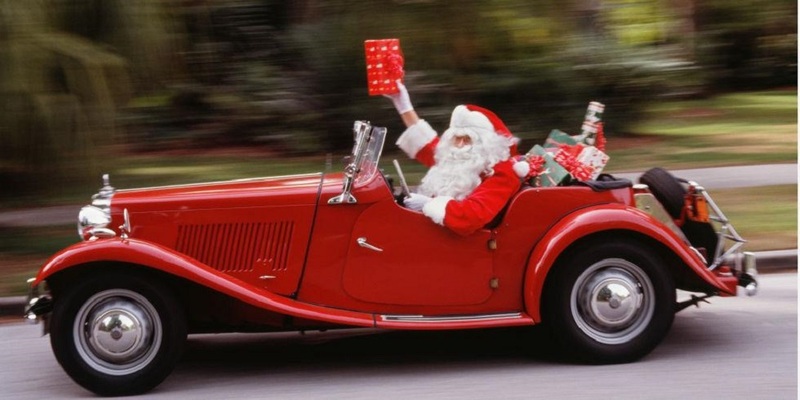 We hope that, whether around a tree or out on the road, you will truly enjoy this season!